The StrangeGiving Sale Is Here! 50%-60% Off! 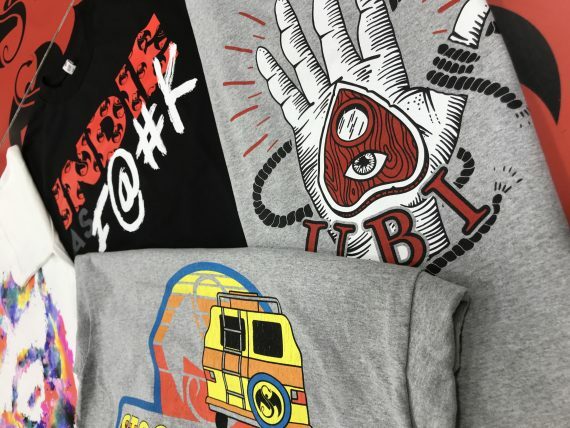 Forget camping out for a deal on a blender, time to get what you know you really want – the hottest Strange merch to keep you warm all season long. The annual StrangeGiving sale is here! No sidewalk sleeping or fighting for a parking space necessary – just the Strange Music gear that you’ve been wanting at an incredible discount – all from the comfort of your couch! Head over to strangemusicinc.net for huge savings on all of your favorite Strange Music merch during the StrangeGiving sale. 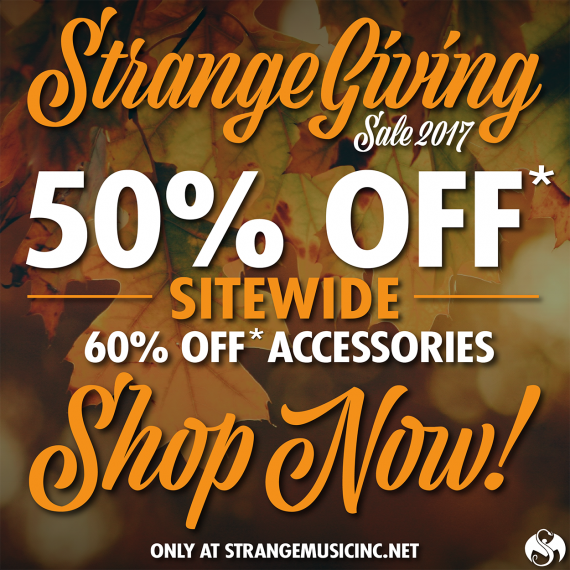 Strange Music gear at 50% off*, with 60% off* accessories! Also, with any StrangeGiving order over $75, you’ll get a complimentary** Strange Music rectangular pendant. Don’t wait – quantities and sizes are limited – once it’s gone, it’s gone! *discount does not apply to previous orders, preorders, new release CDs, VIP packages or other items as determined by Strange Music, Inc., including, but not limited to, Rob Prior items. Any orders received for out of stock items will be refunded to original method of payment. **complimentary Strange Music rectangular pendant included on any qualifying order totaling $75 USD or more before tax and shipping charges. Limit one complimentary pendant per qualifying order. Additional pendants may be purchased at StrangeGiving sale prices. Does not apply to previous orders. Some restrictions apply, as determined by Strange Music, Inc.